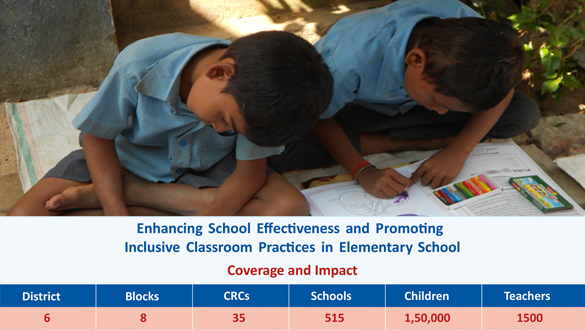 Grassroots interventions for enhancing school effectiveness and promoting inclusive classroom practices in government primary schools that could enhance learning achievement of children from diverse and deprived social backgrounds. Facilitating inclusive teaching-learning practices through capacity building of school teachers. Research and documentation for developing a contextualised understanding of the issues of exclusion/ inclusion in elementary education, and for identifying school and community based factors responsible for educational failure of children from diverse and deprived backgrounds. 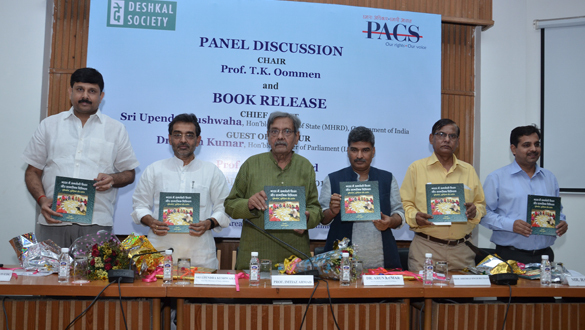 Policy advocacy and network building for promoting inclusive quality education for children from diverse backgrounds through national and international seminars and workshops, and publication of books and reports.